So let me start with ‘YouTube Made Me Buy It’. I seen Tati talking about these on her channel a while ago and it really sprung to me because I always used to get shellac/gel nails. Now don’t get me wrong I loved them, I just don’t have the time to go and get them done all the time nor do I have the money. It seems super cheap to start with but constantly getting them done when I have a holiday to save for isn’t the brightest idea. So I stopped and my nails got gross and horrible until I found these beauties! 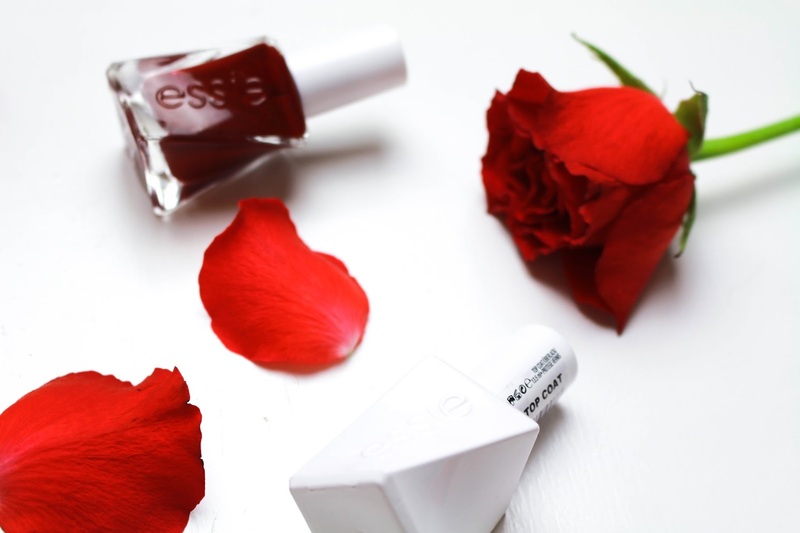 Essie Gel Couture nail polish. Huge shout to Tati for opening my eyes to these babies! 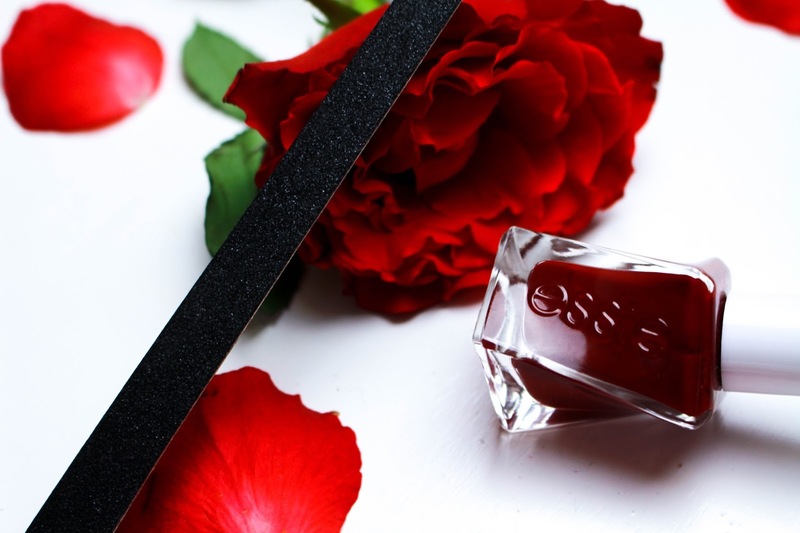 Watch her video here… WORLD’S BEST GEL NAIL POLSH??? 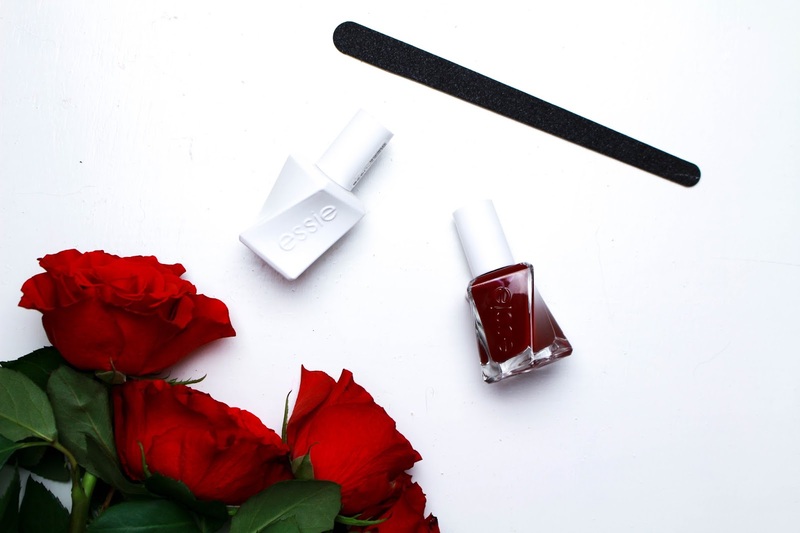 On Essie’s website it says that these “wear for up to 14 days with impeccable gel like shine”. Now I am a busy girl I am constantly on a keyboard damaging the tips of my nails because I just cant type correctly, doing the same on my phone oh and ALWAYS washing my hands. Now I tested these out and for me they don’t last two weeks but neither do my shellac. I always find a few chunks missing here and there after a week or so. I really don’t mind that these don’t last as long as they say because they last long enough for me (3-5 days depending on what I’m doing). When my shellac chip I’m stuck with it because I don’t have time to get it repaired and I’ve just paid for them so I’m not going to take it off after a week of having them on. One thing I like about the fact they don’t last two weeks is if I want to refresh them I can soak them off with nail polish remover and re do them which takes not half as long as getting a full set of gels. It also means I’m able to play with colours more too! 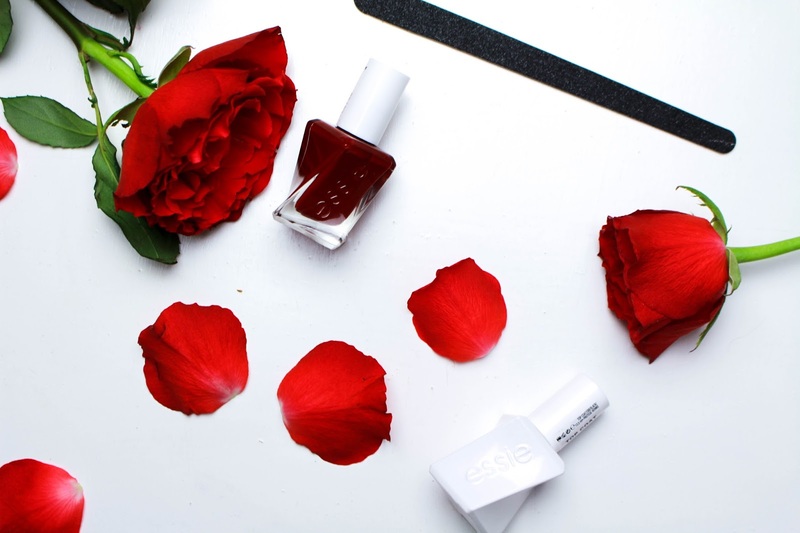 I do however, have some tips to help you guys get your polish lasting longer and this sin’t just for the gels. 1. Make sure you seal the ends of your nails, you may see your nail technician do this. Simple swipe the ends of your nails with brush and it gives you a coating over the tip of your nail. 2. Take the time to actually paint your nails properly, don’t do them in a rush if you do they will just go streaky and more than likely chip away seconds later. 3. 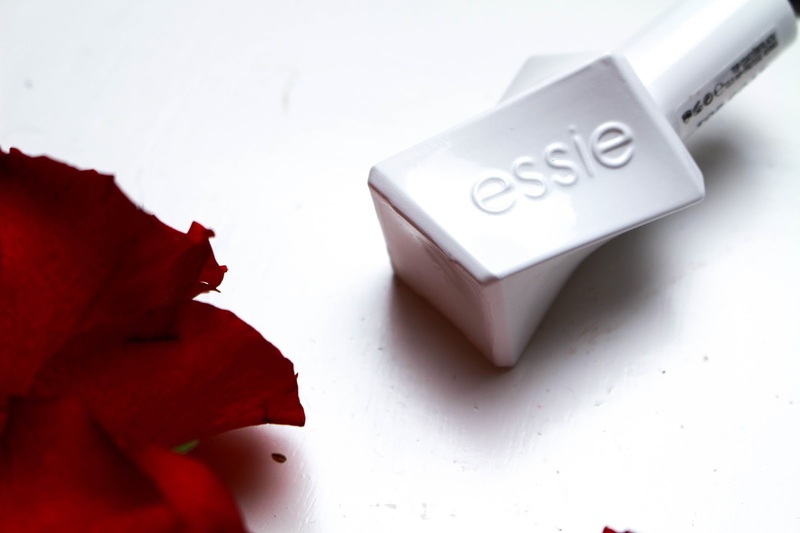 Use a base and top coat, with the Essie Gel Coutures you get a top coat which gives that incredible gel like shine. Downside there isn’t a base coat but I guess you can use the top coat for one. I use the Sally Hansen Diamond shine top and bottom base coat. It is INSANE! I promise. Now I’m sure a lot of you are thinking does it really look like gel nails as a lot of polishes claim to be gel lookalikes and they aren’t well these ones 100% are! They look so glossy and thick which is something I really love about these polishes. I was never a fan of matte nails when they were a thing. Would I recommend these? 100% if you have a cute weekend away planned these are the perfect item which save you time but also money! They look great are inexpensive considering how any times you can use them. 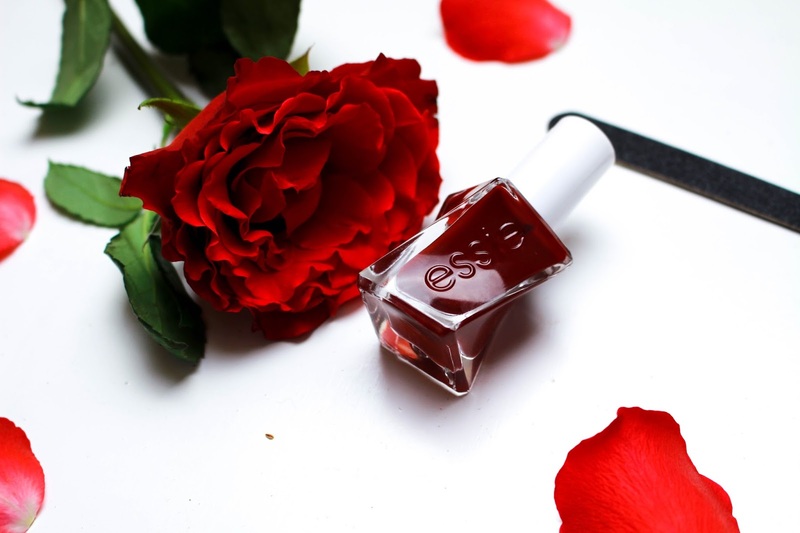 I’ve always been a Essie nail polish girl as I think their just last the longest anyway without chipping but I think I’m now a Essie Gel Couture girl! Next Post 5 Weekly Highlights!